You might wonder how to make Pumpkin pie spice, as you be reaching for soon. Do you need to go to the store if you are out? Chances are you have everything you need to make pumpkin pie spice in your spice cabinet right now. Save yourself some money, learn how to make your own pumpkin pie spice mix, and chances are it will taste even better than what you purchase in the store. Pumpkin pie spice goes well in pumpkin pie, sprinkled on top of coffee, or even in my favorite holiday pumpkin pie dip. So often we buy spice blends when we have everything we need at home in our kitchen cupboards. Sometimes it pays to check what you have and to go ahead and make your own custom spice blend. You can do so easily. Best of all if you like a particular spice a little more you can add a little extra of that particular spice. 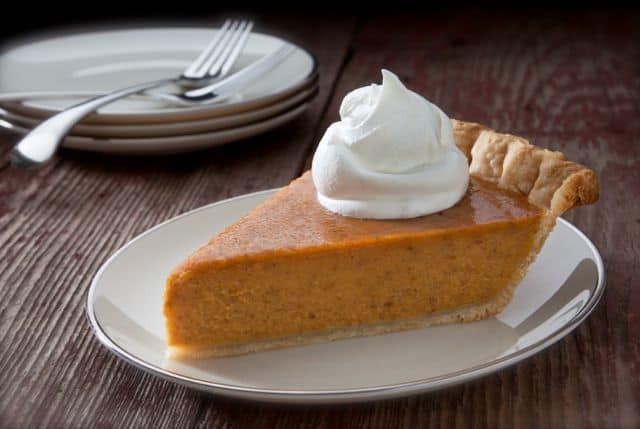 Do you love pumpkin spice inspired recipes? Be sure to check out these pumpkin spice recipes. You don't need to buy pumpkin spice, you can make it with ingredients you have in your pantry. If you are using whole nutmeg grate nutmeg with a micro plane, or a nutmeg grater. In a small bowl combine all ingredients and mix together well. Store in an airtight container until you are ready to use. I think so often we should try to make up our own blends at home. This way it keeps us from cluttering up our spice cabinet. Thanks so much. I stumbled tihs recipe! I like making my own spice mixes. This one will go on the shelf next to your Taco Seasoning Mix. Fabulous!